Section 104 of the Grenada Constitution makes provision for appeals to be made to Her Majesty in Council from decisions of the Court of Appeal. Her Majesty in Council otherwise referred to as the Judicial Committee of the Privy Council is the final court of appeal for Grenada and most other CARICOM countries. The principle behind section 104 goes back for many centuries beginning with the Norman conquest of England by William the Conqueror in 1066 AD. The King was then recognised as the fountain of justice throughout his Dominions and exercised jurisdiction by way of his Council or “Curia Regis” which sat in an advisory capacity to the Crown. The modern day concept of the principle of the King’s subjects having the recourse of complaining to the King by way of his Council once they were aggrieved of the administration of justice was put into legislation in the United Kingdom (UK) by the Judicial Committee Act of 1833. The persons who are eligible to sit on the Privy Council as judges are those under the age of 75 years who hold or have held high judicial office in the UK or have been judges of superior courts of certain Commonwealth countries. Generally, five judges sit in order to deliberate upon a particular appeal and the decision of the majority is the main decision. Paradoxically, the Privy Council is not being used by the UK as a final court of appeal in the normal civil and criminal cases. The UK has its own independent final Court of Appeal. However the Privy Council is presently being utilized as a final court of appeal for UK overseas territories such as Anguilla, Bermuda and the British Virgin Islands; Crown Dependencies as Jersey and Guernsey and Commonwealth independent countries such as Grenada, Jamaica and St. Lucia. Independent Republics such as Trinidad and Tobago and Dominica are allowed to process final appeals through the Judicial Committee rather than through Her Majesty in Council as the Queen is not Head of these states. Over the years a number of countries such as Australia, Canada, Sri Lanka, Malaysia and Singapore, after gaining independence, terminated the services of the Privy Council and established their own final Courts of Appeal. In Grenada appeals to Her Majesty in Council may be made as of right in civil proceedings where the matter or property in issue is valued for at least fifteen hundred dollars; in proceedings involving dissolution or nullity of marriage; or where there is a question as to the interpretation of the Constitution. In other civil proceedings the Court of Appeal on request may grant leave to appeal if the Court considers that there is general or public importance attached to the appeal. In other cases, whether civil or criminal, special leave would have to be obtained from Her Majesty in Council if an appeal to Her Majesty has to be processed. In the normal course of delivering decisions, the Privy Council keeps to the traditional formality of advising Her Majesty as to the outcome of their deliberations for transmission to the respective parties. For example, the report of the Judicial Committee in one of the earliest appeals from Grenada to the Privy Council began: “The Lords of the Committee in obedience to your Majesty’s said order of reference, have taken the said petition into consideration, and having heard counsel on both sides, do this day humbly report to your Majesty as their opinion…” This was a case involving Representatives of the Island of Grenada v the Hon. John Sanderson, Chief Justice, which was heard in 1847. In a recent appeal from Grenada in the case of The Appeal Commissioners (Appellants) v The Bank of Nova Scotia (Respondent) the Privy Council reported on 9 July 2013: “For these reasons the Board will humbly advise Her Majesty that the appeal from the Court of Appeal of Grenada should be dismissed”. 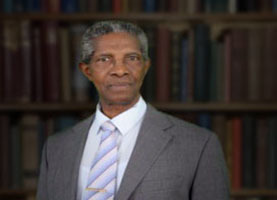 Whilst the Privy Council has provided valuable service as a final court of appeal for Caribbean countries over the years, it seems inevitable that in the not too distant future, the Caribbean would have to settle upon its own final court of appeal. Four main reasons have been submitted for entertaining this consideration: the high costs involved in processing appeals to the Privy Council; completing the independence of the Caribbean; the fact that the judges in the Privy Council are far removed from the culture of the Caribbean region; and the fact that certain UK authorities have recently expressed weary with the notion of providing a court of final appeal to Commonwealth countries. Sooner rather than later therefore, most Caricom countries would have to make the firm decision to amend their respective Constitutions in order to accede to the Appellate Jurisdiction of the already established Caribbean Court of Justice (CCJ) as their final court of appeal instead of the Privy Council. So far, only Barbados, Guyana and Belize have acceded to this Appellate jurisdiction of the CCJ.